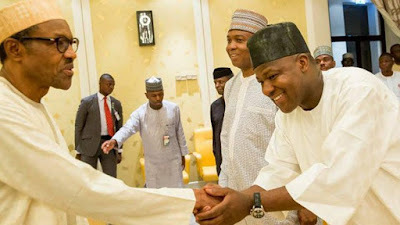 President Buhari is about now in a closed door meeting with Senate President Bukola Saraki and Speaker of the House of Representatives, Yakubu Dogara. The meeting is holding at the presidential office in Aso Rock Abuja. Senate President this morning read a letter from President Buhari notifying the senators of his return to office.